The Civil Service isn’t a business. Yet it is constantly being asked to become more business-like in the delivery of government objectives. 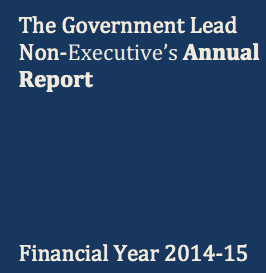 Non-executive directors come from outside government to support this. Many of us have senior experience running large, complex organisations; for example, I ran Kingfisher plc, the owner of B&Q, which had annual sales of £11 billion last year. We do not become civil servants, nor are we like special advisers. Rather, we sit in between ministers and civil servants, offering independent advice and challenge to both. We are members of departmental boards, and most give far more time outside of the formal meetings to help the department. I took over from Lord Browne as the Government Lead Non-Executive in April 2015. Before that, I was Lead Non-Executive at the Department for Work and Pensions for 4 years. I saw at first hand the commitment of civil servants delivering to citizens on the frontline. I know the importance of questioning leaders on practical deliverability: great ideas need to work on the ground. My role now is to co-ordinate the efforts of the 70 non-executive directors across central government departments. In the last 3 months, I have met with many civil servants, ranging from Sir Jeremy Heywood and John Manzoni, to those of you in board secretariat roles to directors-general. 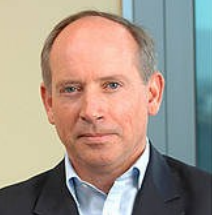 Encouragingly, Matthew Hancock, the new Minister for the Cabinet Office, has also expressed his support for the work of the boards and the non-executives. I have been encouraged by what I have been told about where non-executives are adding value, and what they might do in the future. These discussions, together with the views of fellow non-executives, have fed into my priorities for the next 3 to 5 years. These support the Civil Service reform priorities of Sir Jeremy Heywood and John Manzoni. We will work in partnership with those in departments and at the centre, such as the Major Projects Authority, who are leading on these priorities. We want to make a real difference – for the better – to the way that Whitehall works. Please call on us to help that happen. If you want to find out more about the work of non-executives, or to get in touch with me, please contact the board secretariat in your department, or Fiona Hoban at the Governance Strategy Team in the Cabinet Office: fiona.hoban@cabinetoffice.gov.uk. Civil Service Live Innovation challenge: Will your idea take you to California?